The course is 5000m (5K) long. The course is at Lakeside North Harbour, Portsmouth. The course is run on a mixture of tarmac paths and hard pack gravel paths. Some sections of the course may accumulate mud, leaves and puddles after rain. Dependent on availability, marshals will be at key sections of the course, or signs will be in place. We hope these tips help to ensure that Portsmouth Lakeside parkrun is fun and safe for everyone. The course starts adjacent to the Lakeside North Harbour business complex, near to the short-stay car park. From here, on a flat tarmac path, runners head east towards the Portsbridge Roundabout for a distance of about 750m, where they pass the Porsche dealership and then proceed down a steady slope under the road, and up a similar slope the other side. Immediately after this they make an about turn, and head back west, returning under the road and past the Porsche dealership for a further 500m. Here runners make a left turn and run out around the southern edge of the lake. A flat gravel path allows runners pleasant views of the lake and its surrounding wooded area, with this section of the course curving steadily from a westerly to northerly direction. After 1.3km along the gravel, and at a junction with another pathway, runners about turn, and return south and east alongside the lake. At the T-junction, runners turn right and again head east past the Porsche dealership and under the road, once again turning back immediately after the climb from the underpass. Heading west again, runners proceed past the T-junction for the last 750m, returning towards the business complex, where runners finish on the grass to the left of the pathway. The nearest train station is Cosham. From here head west onto Portsmouth Road and continue alongside Cosham Park until you turn left onto Northern Road/A397. Turn right onto the pathway and continue under the main road through the underpass. When emerging from the underpass head along the pathway alongside the Porsche garage and follow the path until the seating area. Turn right towards the car park. From Portsmouth: Head north on the A3 until the large roundabout. At the roundabout, take the first exit onto Western Road/A27. Continue west until the roundabout and take the first exit. Turn left into Lakeside North Harbour and follow signs for visitors parking until you see parking bays C1 to C6. From M27: Head east along the M27 towards Portsmouth. Take exit 12 from A27 towards Paulsgrove/Cosham/Hilsea. 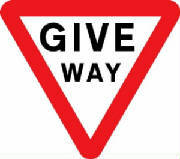 Follow signs for Paulsgrove and continue on Western Road/A27 until the roundabout. Take the third exit and then turn left into Lakeside North Harbour and follow signs for visitors parking until you see parking bays C1 to C6. From A27: Head west on the A27 towards Portsmouth. Take the A3 (N) / A3(S) exit towards Cosham/Hilsea, keep right at the fork and follow signs for M275/M27/A3/A27. Continue on Western Road/A27 until the roundabout. Take the first exit and then into Lakeside North Harbour and follow signs for visitors parking until you see parking bays C1 to C6. Every week we grab a post parkrun coffee in Starbucks - please come and join us!